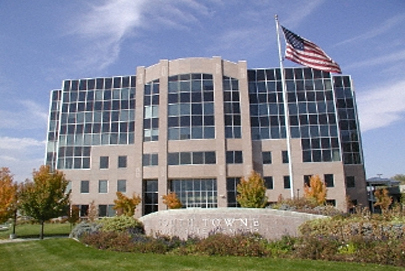 Southtowne Corporate Center Phase II, as designed by Alfred Sofle Wilkinson and Nichols, Inc., was the second of two identical speculative “Class A” office lease space buildings built by the Workers’ Compensation Fund of Utah. As with Phase I, the Phase II building design emphasis was to provide a “Class A” building that would include a dramatic, well appointed lobby, granite cladding and expansive floor space to fit any clients needs. The design for Phase II included a lot of carry over from Phase I, with the distinct advantage to learn and improve. One very important change in the cladding scope was the use of metal stud support frames in lieu of traditional steel truss frames for the preassembled stone panels. The structure consists of 125,000 square feet of office space and elevator lobbies. 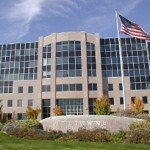 The office space was leased as a shell and built out by each tenant. The first floor lobby is two stories tall and includes stone and wood finishes. The final design included 31,000 square feet of stone clad panels on metal stud frames that were assembled in Tualatin, Oregon and trucked to Sandy, Utah for installation. The stone, “Texas Red”, was utilized for both Phase I and II. It was quarried and fabricated in Marble Falls, Texas. The interior lobby design included mortar set paving both interior and exterior, adhered base and bathroom vanities. 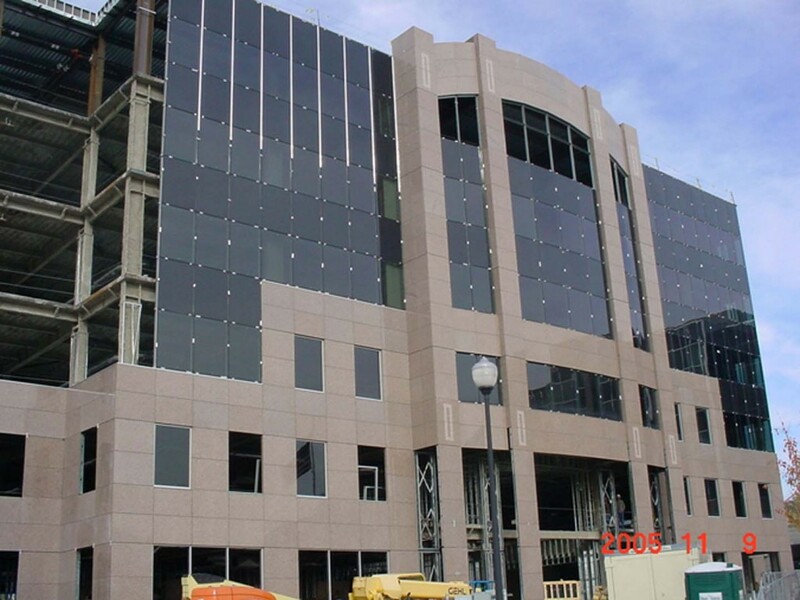 This project provided multi state challenges including a metal stud frame fabricator in Southern California, a stone supplier from Texas, assembly in Oregon and installation in Utah. In all, tens of thousands of miles of freight were required to bring all of the components together and on site for a timely installation to enclose the structure before the snow fell in Northern Utah. The stone was attached to the metal stud support frames using, almost exclusively, type 31 anchors. Even with the over 800 miles per trip from the assembly yard to the project, little or no movement of stone occurred. The success of the shipping of the completed panels was, in no small part, due to the rack system that was devised and supported the frames during transit. This entry was posted in Panelized on October 1, 2014 .